The situation in the United States continues to have a big impact on the local currency, with US interest rates increasing twice this year to reach 2 percent. With local rates still sitting at 1.75 percent, investors are choosing to back the US dollar as demand for the local currency drops as a result. While the Reserve Bank of New Zealand’s policy rate of 1.75 percent currently matches the upper bound of the Fed’s target range, the US rate is likely to be more than 50 basis points higher by the end of the year. According to US-based bank Morgan Stanley, the New Zealand dollar will decline to 66 cents by year-end. Strategist Daniel Blake says the worst is yet to come, with the Kiwi set to fall even further: “We’ve been bearish for a while... There’s a broad basket of highly levered household sectors, which include Australia, New Zealand, Canada and Sweden, which will all be negatively impacted by Fed tightening... Australia and New Zealand have shown the highest correlation between housing and currencies." Local conditions are contributing to the Kiwi's downbeat tone, with weak business confidence recently highlighted in the ANZ Business Outlook Survey. Local businesses are increasingly pessimistic, losing faith in the country's wider economic outlook and their own economic activity. In addition, Kiwibank has said that they expect the currency to come under additional pressure due to worsening conditions in the terms of trade. Along with a rate differential compared to the US and weak local conditions, the Kiwi is also struggling due to a lack of technical support and a weak reference rate for the yuan. Reduced growth in the world's second-biggest economy and the prospect of a trade war with the US continues to have a negative influence on the local currency. 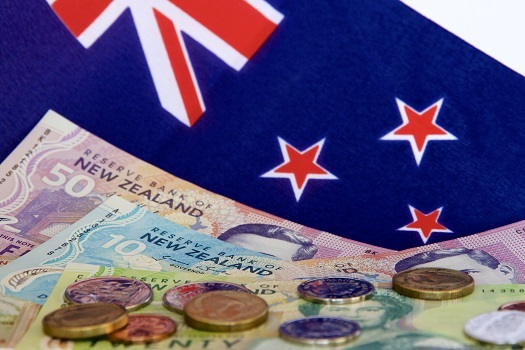 According to Bank of New Zealand senior market strategist Jason Wong, the People's Bank of China "needs to be careful that it doesn't spook the market and trigger resurgent capital outflows... We see this as the most threatening source of risk to a weaker NZD."